Includes foot soak, nail trim, file and a light massage. This is a great service for all of our diabetic patients or anyone who has trouble doing their own nails. Includes foot soak, foot massage, cuticle push, nail trim, file, finish with color and optional nail art at additional cost. Includes nail shaping, filing, cuticle maintenance, buff and polish. Includes nail shaping, filing, cuticle maintenance, exfoliation, moisturizing, hand massage and polish. 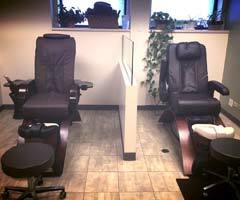 A Professional Spa & Salon – Including Nail Restoration, Anti-Fungal Polishes, and Other Remedial & Theraputic Services. 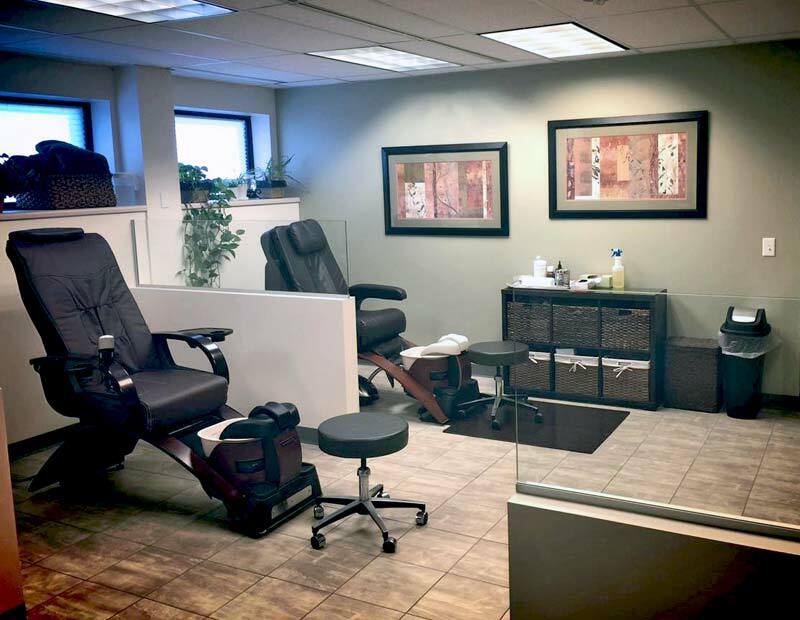 All Services Are Provided by a Licensed Technician or Therapist in a Medical Setting With Sterile Equipment.